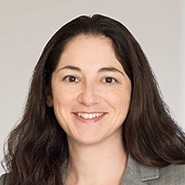 Jenny Longman will be presenting on “The Privacy Conundrum – Compliant Strategies in a Transparent World” as part of the Wealth Management and Tax Executives Workshops at the 18th Annual Tax Planning Strategies Conference in Amsterdam. The panel will discuss CRS, the UBO and trust registers under the 4th and 5th EU Anti-Money Laundering Directives (including amendments) and the various reporting obligations for professional advisors. In addition, the panel will outline ways to safeguard your clients’ legitimate right to privacy amidst all of these compliance regulations.